Pretty standard for budget accommodation. hard for the taxi driver to find though, we had to ask a lot of locals on the way. Not many tuk tuk drivers know about it so trying to get one to take you there can be hard. overall it was clean and well kept. 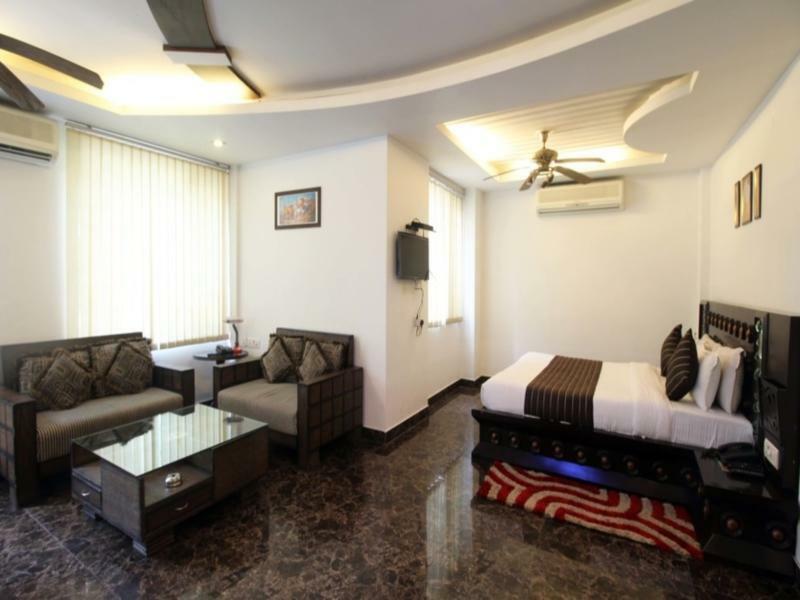 The room itself was a nice place to stay for a night if you are stuck in Delhi. The hotel isn't in a great location, but you can get rickshaws/taxis easily. The wifi didn't really work in the room, and the room service food was terrible (my boyfriend really sick the following two days). We booked the room months before, also asked for airport transfer. They E-mailed that they pick us up upon our arrival late at night. We waited in Dehli Airport for an hour, no driver showed up. Then we phoned the hotel. They told us they have no room since it was Diwali, an Indian light festival. We where very frustrated, tired and angry. Drove to the hotel, then all of a sudden they had a room and we could check in. All in all it was a bad experience because everytime we booked with agoda bevore, it worked allright. We will never go there again, arriving tired in India and then get told they have no room, what are we making a reservation for? Pros: Rommservice was very friendly and nice. A lot of moskitos in the room, room was somewhat dirty and greasy, can be okey for an overnight stay. Unfortunatelly we booked for a week ... but never again. Service people, front desk, entrance were friendly which made it a bit better. I like the super friendly hotel staff whom could remember that we checked in a week earlier. He gladly offered us the same room we stayed a week ago. near karol bagh if you love going to public market in india. 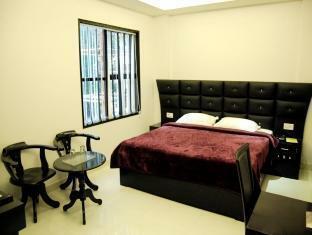 The hotel is ok with basic amenities, wifi and basic breakfast. However, the hotel is using the name of Agoda to refer guests to a an agency that organizes tour, just be forewarned. I checked in and left my things in the hotel and when I was preparing to go out to see the neighborhood, the person in the reception desk told us that somebody from Agoda wants to talk to me and I asked why, he started to dial the phone and started to speak in Hindi which I didnt understand, then he told us Agoda will call us and jsut wait a second, after a while the phone rang and he gave the phone to us, the person on the other line told me that he is from Agoda, I said, Ok ok, what do you want then? HE asked me where I am going that day and how long will I stay in India, a typical question of a tour organizer or agency, I said I don´t want a guided tour and you are not from Agoda and I gave the phone back to the reception. I don´t know if this thing happen in other hotels but just beware. staff are really friendly and helps you in all ways they can. speaks good english too. staff is nice but most do not speak or understand english that well. Service was good and bed was comfortable to sleep in after a tiring day. But be sure you ask for mosquito repellants and room freshener. Check out if the bathrooms have been cleaned out properly after the next guest. Restaurant staff are OK but communication may be a bit difficult, unless you just point your order from the menu. The lift does not work so be sure to get rooms at the lower floor. The older man at the reception is not really friendly and helpful, but the younger one is really nice. Very friendly staff attending to my requests. The restaurant serves very nice indian food. Only about 5-10 minutes walk to the Metro station - Jhandewalen. And that's just 1 station and 2 stations away from Paharganj & Connaught Place (Rajic Chowk)respectively. 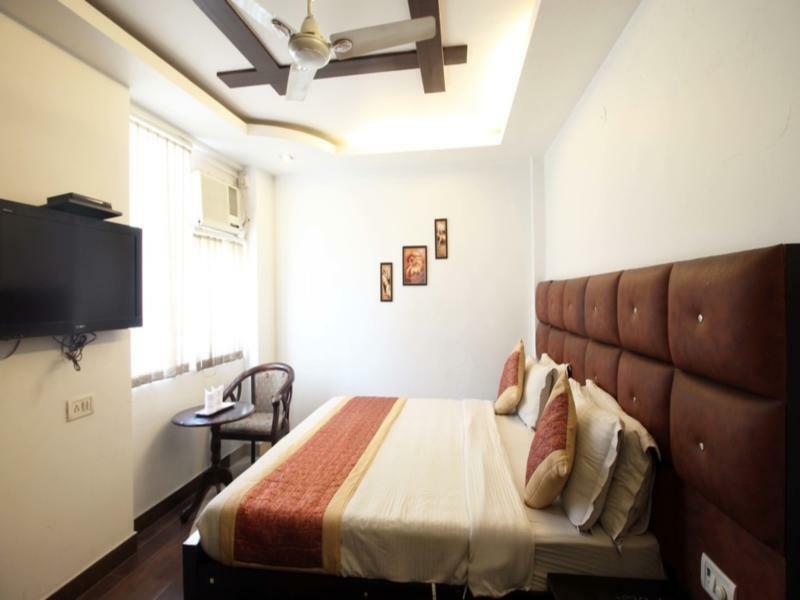 Definitely a good choice for those who seek a mid-range hotel and would like to have a comfortable and quiet sleep at night. 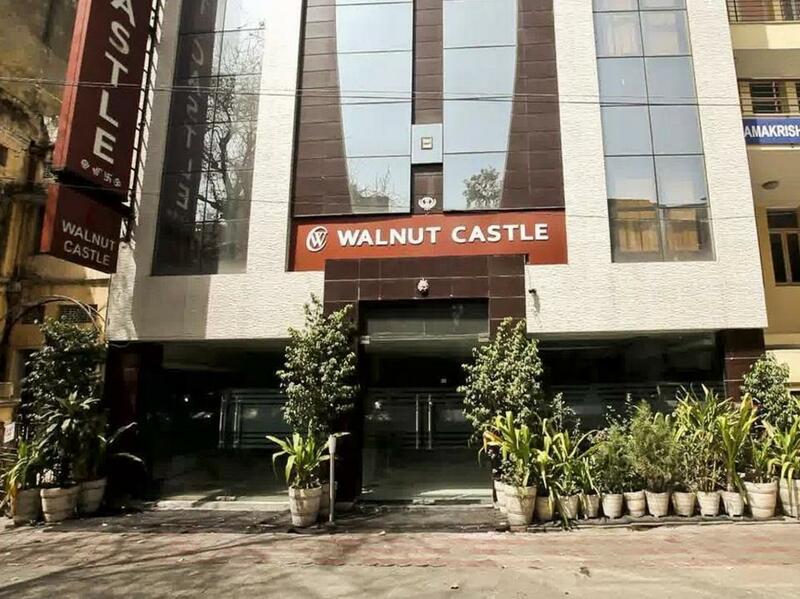 Walnut Castle (once you find it) is a cheap business option that close to Metros to get around the city. Rooms are comfortable enough although noise in the evenings was a bit of a nuisance. Good restaurants and shopping in surrounding area to get the true Indian bizarre feel. Karol Barg location, off the main drag. Good hotel. We'd stay again. very good hotel to stay for a business traveller. cheap and best. Su ubicación cerca del mercado de Karol Bagh y del metro. Un hotel de diseño que si se tomaran la molestia de limpiarlo y hacer un mantenimiento mínimo sería estupendo...pero esto no ocurre. Sábanas con manchas, cuarto de baño con churretes en las paredes, cortinas sucias. สถานีรถไฟใต้ดิน Jhandewalan - ระยะ 0.4 กม.